Wow! Fridays… It’s a full on day here. 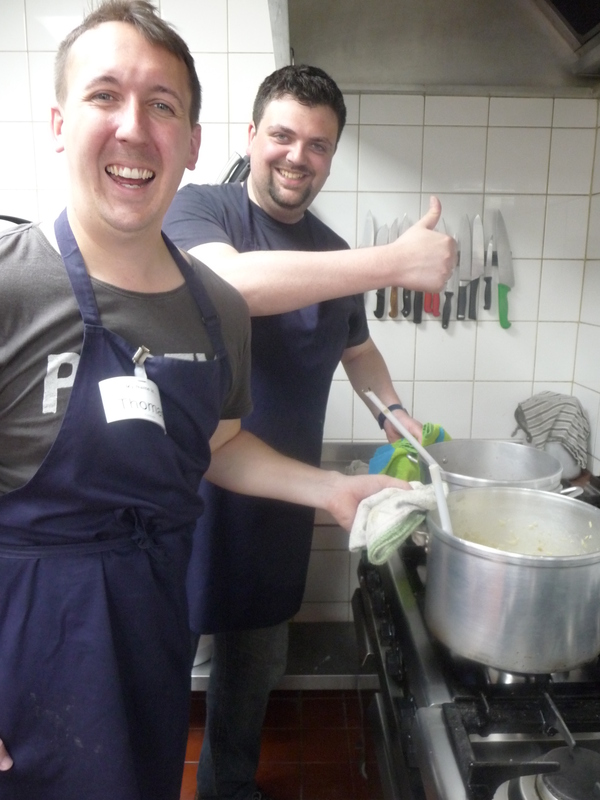 6am to 11am as normal with Eversheds LLP volunteering in the kitchens. Brilliant job guys. Then straight into Ladies Day at 12 noon to hold an afternoon session of lunch, a meaningful activity with a clothing session at the end. Credit Suisse ladies were the helpers here. Today was delicious homemade shepherds pie n veg, finished off with homemade rice pudding with strawb jam. Nicola from C/S had arranged for the Idea Store (name of our council library facilities) to come and do a reading group for the ladies to join in with. It was fantastic! The library staff came and read an excerpt from a book and then had a discussion. We read “Mrs. Bixby and the Colonel’s coat” we had ladies that couldn’t read, ladies that didn’t have English as their first language, but Boy! The discussion afterwards was nothing short of brilliant. I, being a bit of a sceptic thought our ladies didn’t have the concentration levels to hold them through. I am pleased to say they proved me wrong. A massive thank you to Chris and Mario from the Whitechapel Idea Store. You were great. And to Nikki at Credit Suisse for such a good idea. Phew, end of a long day and hard week, I’m whacked but so ready for the weekend. Here we come.